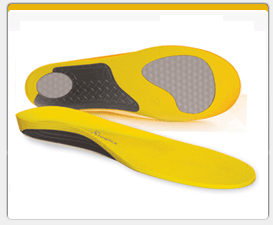 Footlogics Workmate is a high quality orthotic insole developed by Australian podiatrists to provide maximum comfort for people who are on their feet all day. Walking and standing for long hours not only causes your feet to ache, it may also cause problems in other parts of the body, resulting in aching legs, knee or low back pain. With closed-cell PU and Gel Technology Footlogics provides excellent cushioning and shock-absorption for your feet. In addition, the biomechanical arch support re-aligns the feet and ankles, improving overall body posture. In turn the insoles will reduce fatigue in the feet and legs and help prevent common aches and pains associated with long hours of standing and walking. This insole is also suitable for hiking boots.